Finsbury is a beautiful district of Central London, England. Every month several travels visit Finsbury because it is a best visiting place in London. If you are planning to visit Finsbury you need to book airport transfer first. 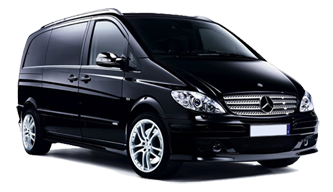 Minibus Transport Solutions provides best Finsbury Airport Transfers Service. We provide outstanding services to make travel comfortable and convenient. Travelers can Book Taxi Finsbury to Heathrow, Stansted, Luton, Gatwick and London city airport. We guarantee you will experience paramount services in the town. We take care of comfort and privacy of our customers, because our customers are the first preference to us. Make your airport transfer hustle-free by choosing our service. Our Finsbury Taxi and Minicabs Services are best for small traveling groups. It will be cost effective for them and they can save their money. If there is a large tourists group such as 8, 12 or 16 people it is best to choose Corporate Minibus Hire Finsbury with driver. Our trained driver will be there to pick and drop you; he will guide and protect you during your travel. Minibus is an inexpensive way to travel around and save money. Whether a group is large or small don’t worries at all we have all types of vehicles. You can go for 7, 8, 9, 12, 14 and 16 seater minibus hire Finsbury according to the number of people. Travelers can choose a minibus according to their need. Booking a vehicle in advance is the most important activity when a traveler wishes to visit a place. Pre-book your vehicle otherwise you will waste time with other cabs for negotiating rates. We are open 24/7 so all you need to do is book yourself in advance and get exclusive services. We serve every type of customer, our transfer plans are according to the traveler’s budget, number of people traveling and convenience. If you want to enjoy exclusive and VIP services for London Beach Transfers then choose Minibus Transportation Solution. MTS is most excellent transfer service provider in the London. The cost of transfer will be charged according to the vehicle’s number of seats, place to visit and on for how many days a vehicle is used.